UPDATE 11/24/2013: the instructions below have changed due to a redesign of the Xbox.com website. Go to the accounts page as linked above, then click “Subscriptions” (a large button at the top of the page) and you should be able to disable the Xbox Live Gold Subscription near the top of the Subscriptions page. On the next screen, simply set it to OFF. Microsoft has the steps listed on their support page as well. *Please note: at the time of publication, the “change” link is currently redirecting to the Contact Us page. 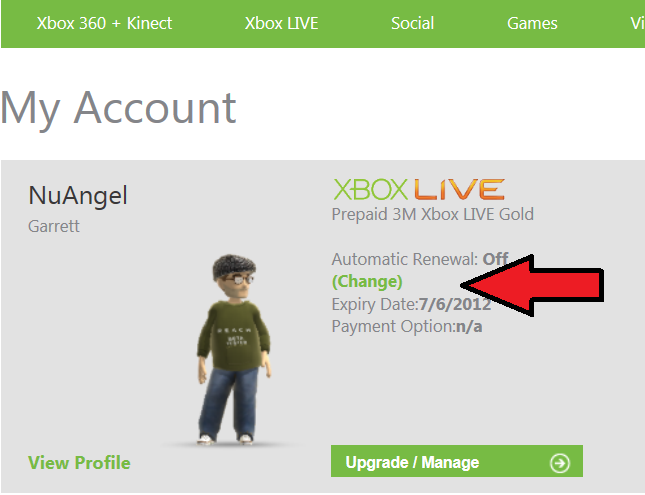 You should be able to change the auto renew status online without having to contact customer support. I have contacted Microsoft for a response to see if this is a temporary change on the website, or if they will be making us jump through more hoops in the future. No comment, yet. I will update if I hear anything of substance.